Israeli soldiers invaded, on Monday at dawn, several homes in Palestinian communities in the West Bank governorates of Bethlehem and Tulkarem, abducted three Palestinians, and summoned three others for interrogation. The Bethlehem office of the Palestinian Prisoners’ Society (PPS) has reported that the soldiers abducted a former political prisoner, identified as Ahmad Nathmi Qawwar, 24, after breaking into his home and ransacking it, in Wadi Ma’ali area, in the center of Bethlehem. 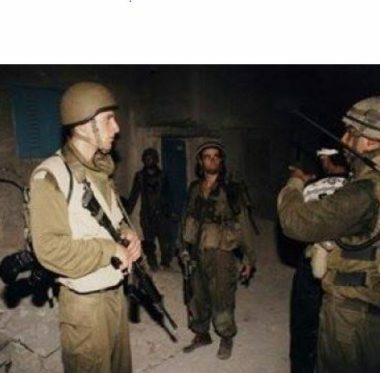 The soldiers also invaded homes in the same area, searched them and summoned Hamza Hussein al-Kamel, 29, Khaled Jamal Salhab, 35, and Khalil Jamal al-Hreimi, 21, for interrogation at Etzion military base and security center, south of Bethlehem. In addition, several army jeeps invaded Tulkarem refugee camp and ‘Atteel town, north of the northern West Bank governorate of Tulkarem, searched homes and abducted Bara’ Abu Esleih, from ‘Atteel, and Mohammad Abu Abdo, from Tulkarem refugee camp. In related news, the soldiers, stationed at the Ennab roadblock, east of Tulkarem, stopped and searched dozens of cars, interrogated the passengers after forcing them out of their vehicles, and inspected their ID cards.